Julie and her husband, Chris moved to Mt. Airy in 2009 and were married at Mt. Airy Baptist Church, where they are members along with their two young children. They have grown in their walk with the Lord and have built many close relationships within their church family and the community. 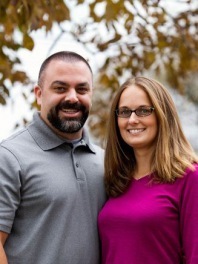 Julie and Chris serve in Vacation Bible School and the Nursery as well as TeamKids on Wednesday evenings in addition to being regular attendees to mid-week Bible studies. They currently serve as the middle and high school youth group directors. By serving in the Youth Ministry their hope is to help guide kids to a Jesus centered life and help them grow in their faith with a full understanding of who they are following according to God's word.